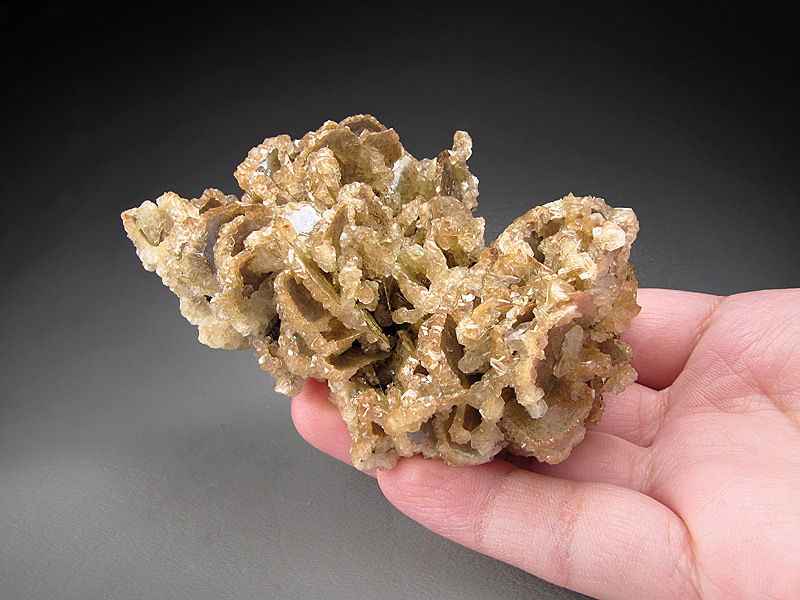 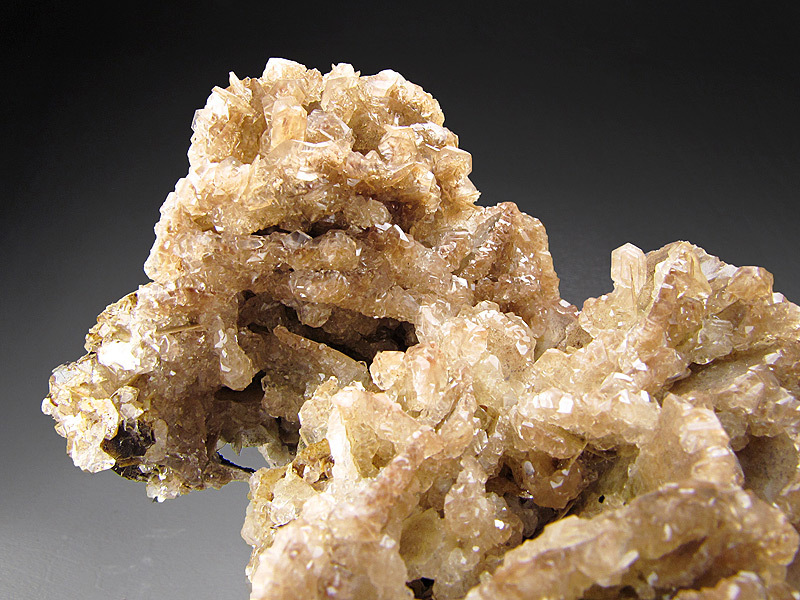 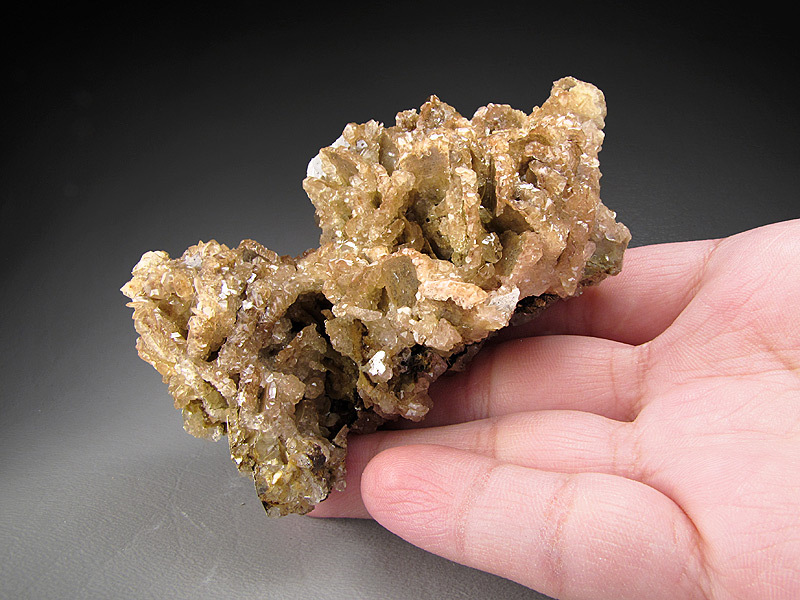 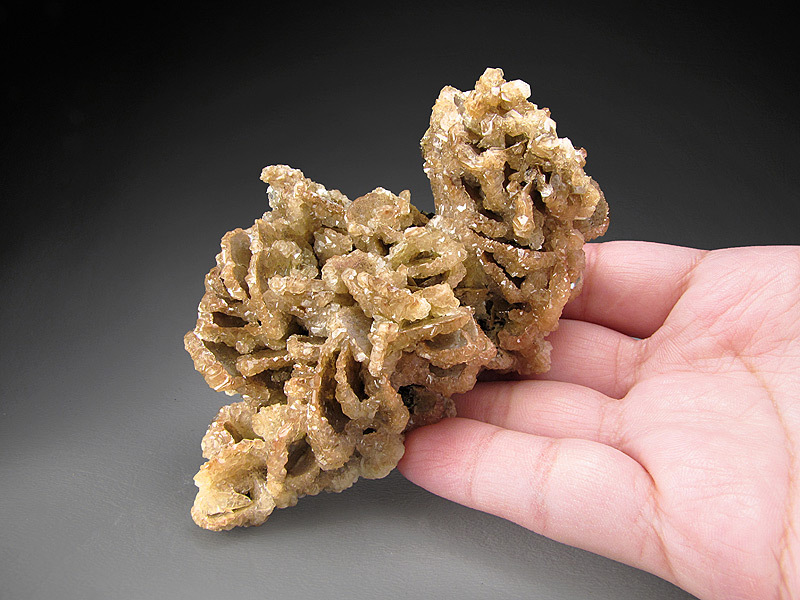 Translucent calcite crystals cover selected faces of yellow-brown wulfenite blades forming an attractive grouping. 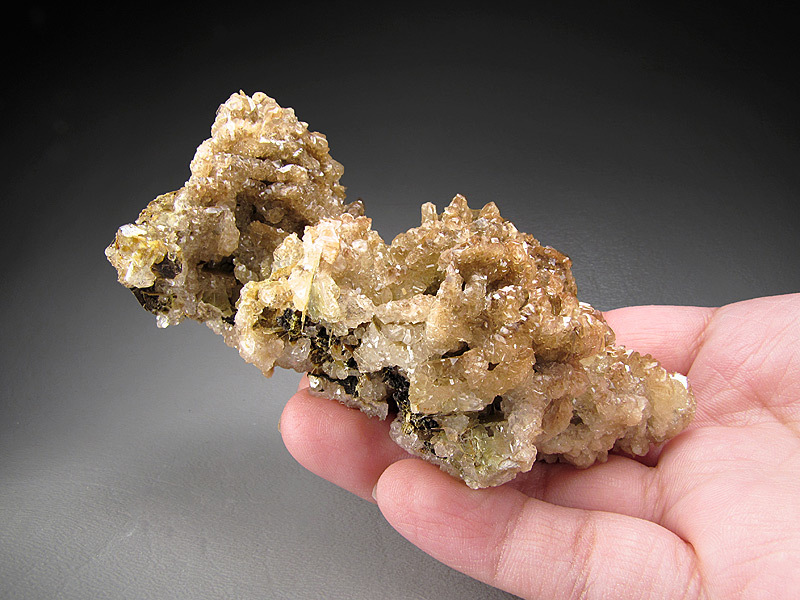 The locality for the piece is the Glove Mine, Santa Rita Mountains, Santa Cruz County, Arizona, USA. 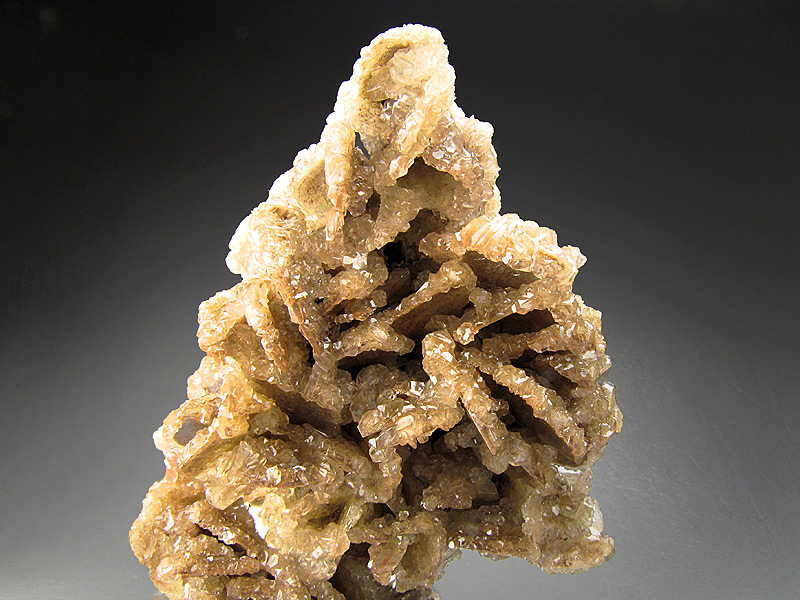 The piece measures 9.4 cm wide by 5.9 cm tall by 4.3 cm front to back.